The Lowdown went down low last week, buried under a cavalcade of news from World Cup schedules to collective bargaining agreements. 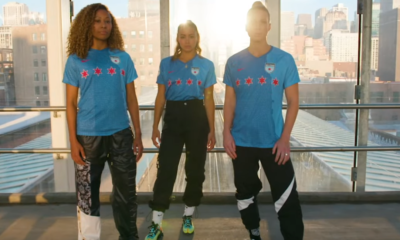 But we’re back and pleased to report that with the new agreement between US Soccer and its players, things are full steam ahead for the NWSL to launch three weekends from now. This week we caught up with the goings on in Kansas City and Washington. 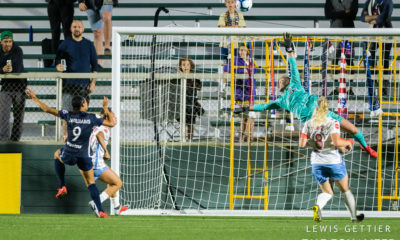 Through all of the announcements about players being injured, pregnant, opting for Europe, or retiring, FC Kansas City has avoided losing any of their big players to extended absences. Of their seven allocated players only virtual unknown Marilyn Diaz is not scheduled to be with the team for Opening Day after the Federation of Mexican Football (FMF) pulled her funding. 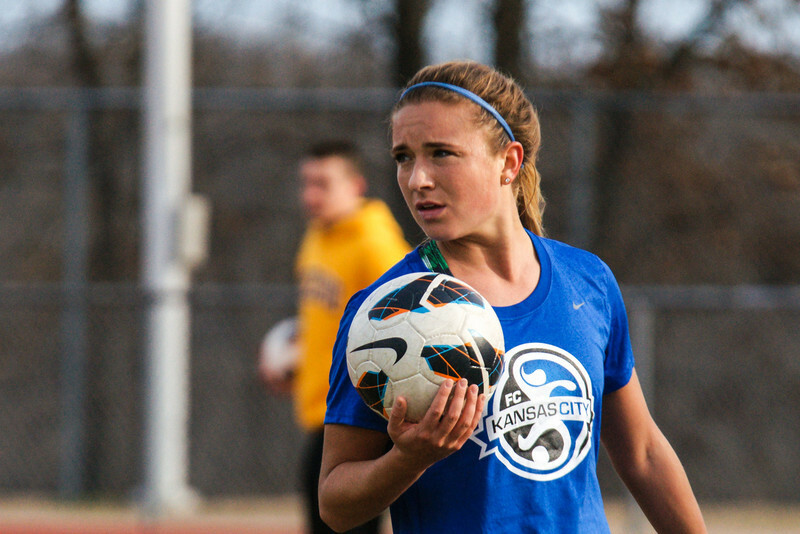 FC Kansas City even just locked-in Casey Loyd (nee Nogueira) for the season. About the only thing that has not gone right for the Blues has been the weather in Kansas City which has forced most of their training sessions indoors. “Hopefully it’s going to clear up soon and be a little warmer,” Melissa Henderson said. Andonovski was an unknown to most women’s soccer fans when FC Kansas City hired him late last year. But he has put together what looks like a solid club and early reviews from his player are positive. Desiree Scott echoed those sentiments. The club will continue to train twice a day through April 6. 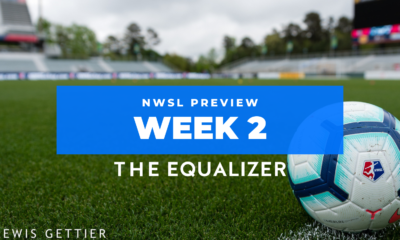 After that they will slide into a game-week routine ahead of the league opener at home against Portland Thorns FC on April 13. And when they emerge from training camp to play? The team’s shape and lineup though, are still a work in progress. Young attackers progressing in D.C. 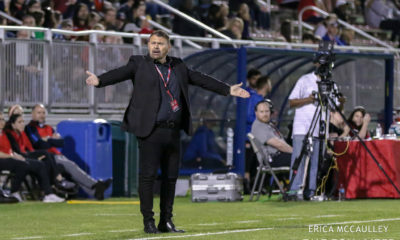 In Washington, D.C., the Spirit have been building their group of goal-scorers after being handed a decidedly defensive national team allocation. They drafted Tiffany McCarty with their first pick in the college draft and Stephanie Ochs with the first overall pick in the supplemental draft. Still, Jorden is pleased with how preseason has gone so far as it hits the two-week mark where players are starting to feel the effects of heavy training. “Overall it’s going pretty well,” he said. Jorden singled out Ochs as a player who has impressed since camp started. And Jorden is another coach who is still figuring out what his team will look like come Opening Day. – Nikki Krzysik will play for the San Diego Sea Lions of WPSL and not the Seattle Reign FC who drafted her. According to Krzysik’s agent, the Reign will retain her rights for the 2014 NWSL season. – Brittany Cameron appears to have the inside track to the No. 1 goalkeeping spot over Ashley Baker, at least until Jillian Loyden gets back from a broken hand. Cameron started in Wednesday’s 3-2 win over Boston. – The Spirit are still waiting on Candace Chapman, who has been making progress in rehabbing a knee injury. The club is cautiously optimistic she will be ready for the season opener.